WITH OUR NEW "HAGGLE FREE PRICING", WE MAKE CAR BUYING EASY! There's a reason why the Billings, Montana-based Rimrock Subaru is the #1 new and used Subaru dealer in the State of Montana. With dedicated family service, we offer a great selection of quality, affordable motor vehicles. We also maintain a top-gear Subaru Service Center and Parts Center that you can trust. Are you one of the many automotive consumers that believe that buying a motor vehicle shouldn't be hassle? Then we're your customer care advocates. Our courteous and informed staff are here to address your questions and concerns. They endeavor to help you find the right motor vehicle that best fits your needs, and can assist you through the financing process. Visit our Subaru dealership, proudly serving Billings, Laurel, Joliet and Shepherd MT, and we will be happy to bring you up to speed. If you're in the market for a new car, you know to trust Subaru. For that reason, Rimrock Subaru proudly offers a great selection of new 2018-2019 Subaru models, including: Subaru BRZ, Forester, Outback, Legacy, Crosstrek and WRX models. We are also excited about the arrival of the All-New 2019 Subaru Ascent SUV to Rimrock Subaru! Be sure to take a look at what currently have to offer, and feel free to contact us with any questions. If a test drive is high on your agenda, then we're more than happy to set one up at your earliest convenience. We offer a great selection of used Subaru and certified used Subaru inventory is sure to do the trick. There are many advantages to opting for a pre-owned motor vehicle, including a cost savings. Our selected vehicles are held to an exemplary standard of quality, reliability, and performance. Trade-ins that don't rise to our standard are promptly sold at auction apart from our retail business. We know full well that buying Subaru is a major life decision for many. We want to bring courtesy friendly customer service to the table, and let you make the best of that experience. Here at Rimrock Subaru, our financing and sales specialists will help guide you every step of the way to help you get securely behind the wheel of a new or used Subaru, or any number of our quality used models. As we offer a number of flexible car loan and lease options to choose from, owning the car of dreams has never been easier. Financing a motor vehicle is often a major life decision, and it isn't something that the average consumer does every year. Rather it's a special occasion. With that being said, we endeavor to equip you with the information necessary to make an informed decision. After the purchase to instill buyer confidence, we offer friendly customer support services, including service and repairs, plus free estimates. At our Subaru service and repair center, our friendly professionals match their experience with top-quality auto parts to keep your vehicle running smoothly. Feel free to call us anytime with your questions and concerns, and our courteous staff would be happy to help you. 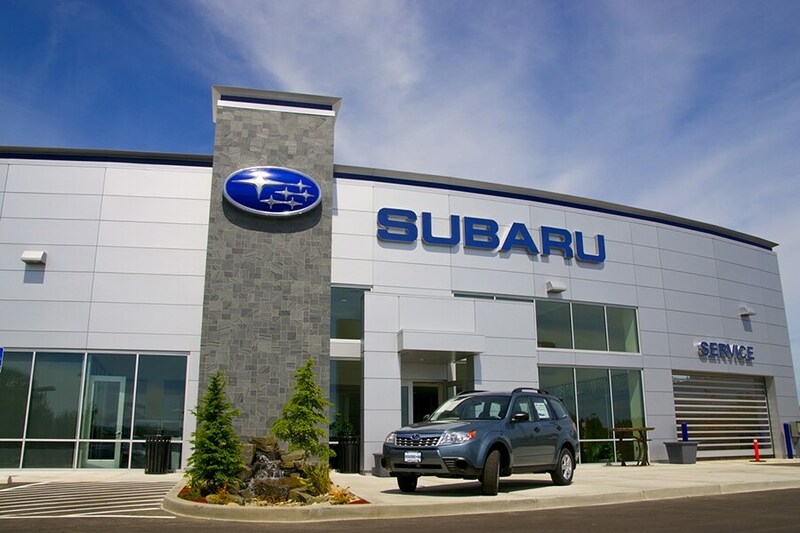 Visit us today at Rimrock Subaru and experience our quality customer service for yourself! We're located at 324 South 24th Street West Billings, Montana.